If you are looking for an affordable home for your growing family, this is it! Pride of ownership is evident with new carpeting and freshly painted from top to bottom. A full list of updates is available from the listing agent. 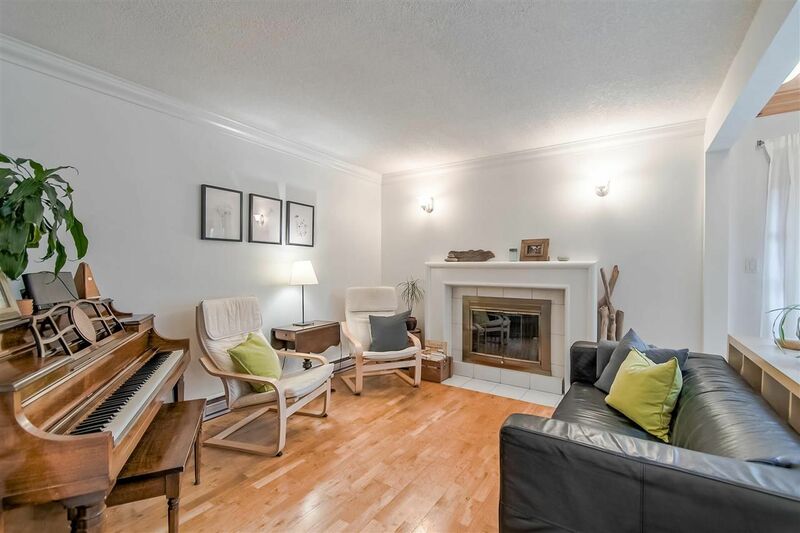 Cozy up in the living room near the wood burning fireplace and keep an eye on the kids playing in the large south facing back yard which features a new sundeck, fruit bearing cherry tree, blueberry bushes and a herbs garden. This professionally managed strata just completed new roofs and gutters, worry free for years to come with a documented maintenance program. Your 2 parking spaces include a covered carport and 1 open space. This is your chance to live the Steveston lifestyle, with walks along the many paths parks, community centre and all levels of schools close by. Must be seen to be appreciated, and priced for your family to enjoy this summer. Call today for your private showing over the Easter weekend.